The election of Barack Obama in the 2008 presidential election was a watershed in race relations in America. For many of us, it displayed that race issues, although still in existence, are not as rampant in the United States now as they were in the past. However, I believe that this election revealed something more than the state of race relations in America. In China, it served as a proverbial litmus test of Chinese perceptions of Black Americans. Barack Obama’s political campaign reinforced images of Black Americans as powerful political figures. Moreover, the Chinese positive reception to these images is a new phenomenon that is important to understanding contemporary Chinese sentiment towards Blacks. During the presidential election, Chinese overwhelmingly supported Barack Obama. An online poll conducted by the US embassy on the China Daily’s website revealed that 75 percent of the Chinese supported Obama as a candidate for president. In a survey by the Horizon research group, of 2,791 Chinese between the ages of 18 and 60, Obama received 17.8 percent more votes than McCain. But, how could this be? Why would Chinese choose Obama over John McCain? If we look at the situation from a foreign policy perspective, McCain’s position on trade was more favorable towards China than Obama’s position. According to the China Daily, “McCain supports increasing global integration”. He also urges Americans to reject the “siren song of protectionism’ and embrace a future of free trade”. In contrast, the article pointed out that Obama “adopted an increasingly critical tone on global trade and support legislation that would allow US companies to seek anti-dumping duties on Chinese imports, based on the received undervaluation of the Chinese currency” and that “he would amend the North American Free Trade Agreement. In addition to having an unfavorable position on trade, Obama’s opponent was white. Under the assumption by scholars who argue that Chinese are generally racist towards Blacks and more accepting of Whites, it is reasonable to assume that McCain should have won the polls. However, this was not the case. 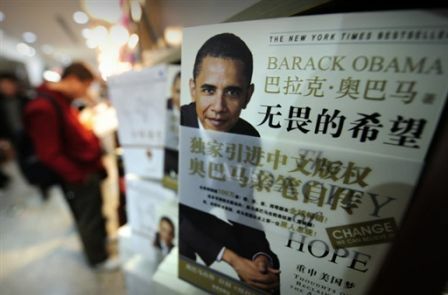 To many Chinese, Obama has become a symbol of hope and achievement. Some Chinese analysts believe that Obama being Black, rather than being a disadvantage, actually added to his popularity in China. Song Zhiyuan, an analyst of the surveys, opined: “Perhaps his age, energy, and even complexion, which signify the US dream, are more appealing to the Chinese”. To many Chinese, Obama’s victory would be a symbol of America’s break from a culture of white superiority. “I want to see if a Black American could become the president…by electing Obama the Americans could prove the US is not only a white people’s country” stated a Chinese real estate agent interviewed by Xie. This type of statement was echoed by Zhang Meng, a Chinese student who stated, “it was good a Black man could be elected president for the first time in a predominantly white country”. Even in a survey I conducted on Chinese opinions of Obama and the 2008 Presidential election respondents shared similar opinions, “In the US presidential election, his breaking the barriers of race, and shows his ability to the whole world, and tries to transfer a different value”, and “he is one of the great Black people. 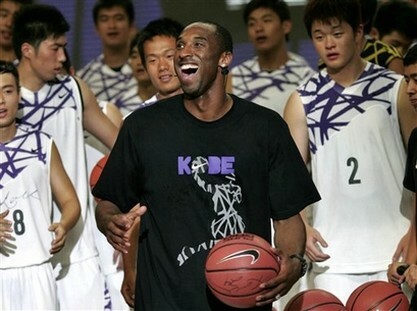 His success represents the fact that everyone could realize his dream whatever the color he is”. Asia in View syndicates its weblog posts and Comments using a technology called RSS (Real Simple Syndication). You can use a service like Bloglines to get notified when there are new posts to this weblog.